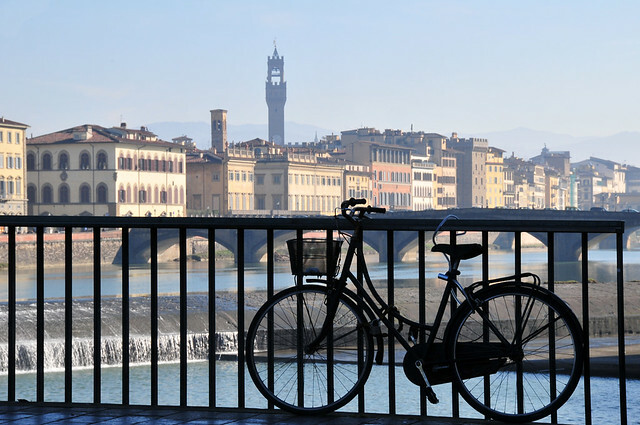 Strolling through Florence is one of the best ways to discover the delights this city has to offer: its history, culture and art, and also many of the beautiful places where you can taste Florentine specialities. Italy Welcome offers you a small monument and sight guide of Florence to help find your way around during your visit. The museums in Florence preserve and display around 30,000 works of art and exhibits that cover a span of centuries ranging from prehistory to the 20th century. The most prolific and important period is represented by the works of the Florentine Renaissance, one of the most brilliant periods of Italian and world culture. These masterpieces of architecture, sculpture, painting, minor arts and handcrafted artefacts are the destination every year for more than four million visitors coming from every part of the world. The better way to enjoy the art and the culture of which Florence is overwhelmed is traveling by bus, that allows the tourists to move between the multiple artistic beauties.In fact, it´s possible to use more than 100 bus lines, working until late in the night, that connect all the city´s areas. A small guide to discover the Churches of Florence, with more than 1000 years of art and history. You will see masterpieces by great artists who have worked in the city over the centuries, in the very places for which they were designed and made.